Mark and Agee have developed quite an odd relationship. 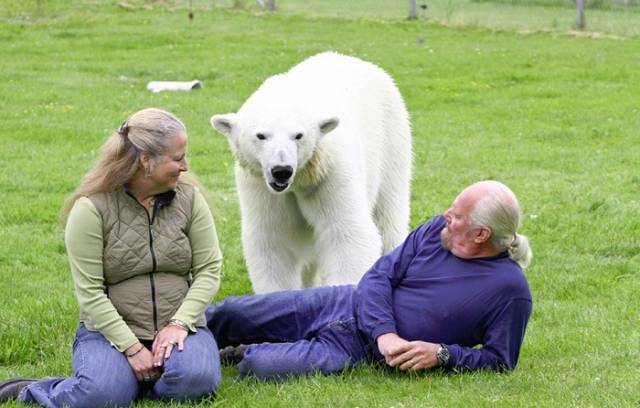 For one thing, Agee happens to be an 800 lb polar bear while 60-year-old Mark Dumas is her handler. 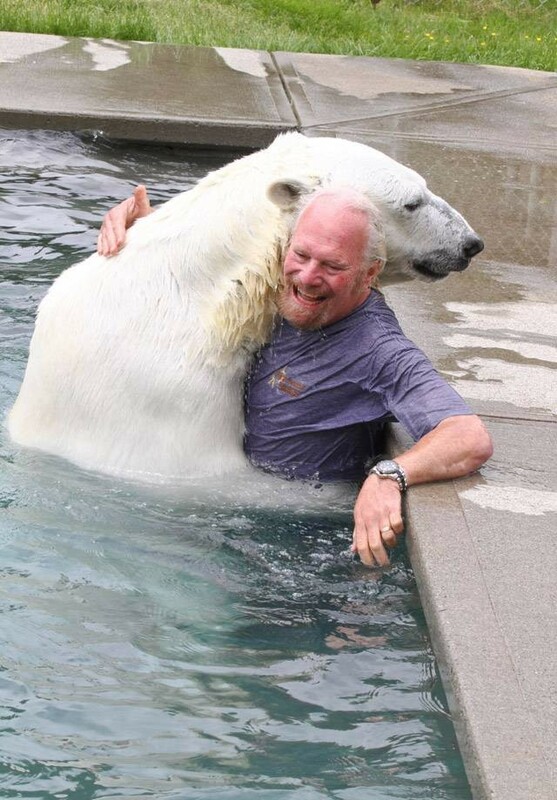 But they do just about everything together, including giving each other hugs on a lazy afternoon in the pool. Agee has been with Mark since she was merely six weeks old, and the two have been inseparable ever since. 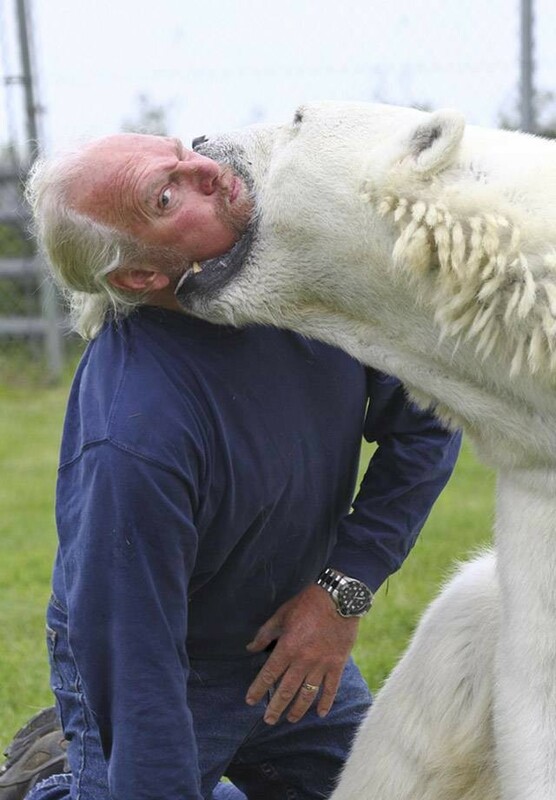 They have such an incredible bond to the point that Mark lets Agee bite his jaw without him ending up in the hospital. Agee has now become a full-grown bear, and with her hind legs up straight, she reaches up to seven feet in height. 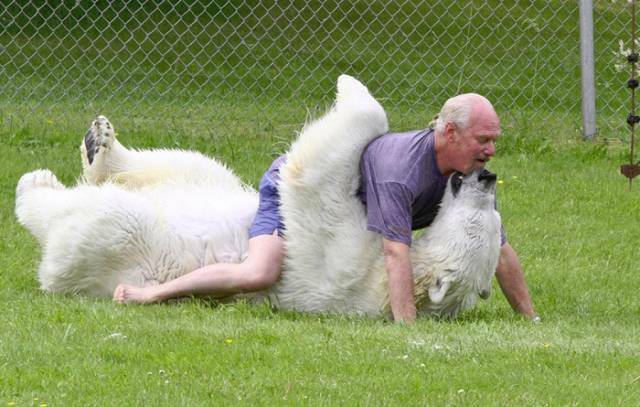 Mark discourages this type of interaction when it comes to dealing with wild animals though. Agee has only become an exception because she has built her trust on Mark and his wife. “If anyone else tried this they would end up as Agee’s dinner,” he said. The family, who hails from Abbotsford, British Columbia, have built a career for Agee too as she has had her own share of advertisements and even films. 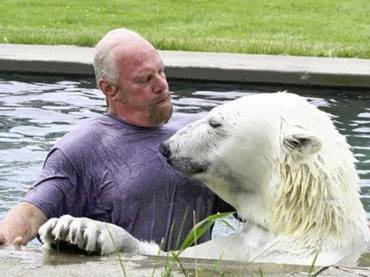 “I have worked with bears in this way for over 40 years, so I can read Agee’s body language and know how to behave safely around her. But Agee is the boss and it’s her rules that count,” Mark added.